Volunteer project: Historically, and even today, human beings have been searching for the true definition of a peaceful, harmonious and happy life. In pursuit of the answer to this question, a group of people gathered in 1984 in what is now Sanan Village, an idealistic community which follows the philosophy of an environment-friendly, non-possessive society. As of today, around 20 families live in this community, and the residents are encouraged to pay more attention to the preservation and conservation of the environment while also freely sharing public resources. People in the village live together, work together and share together. The volunteers are expected to follow their way of life. The main income of the village is chicken farming. Their organic products, mostly eggs, are sold at the market in the city and are popular among those who prefer organic products. Those who are interested in a new and alternative way of living, may get some fresh ideas about their life through this program. Volunteer work: Volunteers will assist the villagers with organic farming, taking care of chickens, and household work such as cooking and cleaning in the village kitchen. Various festivals are taking place often in the village. You will have the chance to meet many people through these events. In the chicken house, the volunteers will be taking care of the chicks, old chickens, feeding them and giving medicines. They will be also collecting eggs every morning and will be helping in the egg selection facility. In the village kitchen, the volunteers will help prepare meals for the residents. During the project, volunteers will be able to not only eat healthy and organic food from nature but also experience a different way of life with warm-hearted locals. There will be further cultural exchange through sports, cooking, and various activities. The volunteers will have one day off per week and one week vacation during the project. Free time: You can join various festivals in the village and visit historical sites around Hwaseong city and Seoul. Sanan is fairly close to Seoul, so you will have a chance to explore the capital of Korea. Documents to be submitted: Motivation letter, resume and a picture are required with application. Orientation and training: Upon arrival in South Korea, volunteers attend a mandatory 3-day orientation before moving to the project site. At the orientation meeting, participants receive training on long-term volunteering through conflict management workshops, case study revision, helpful advice from former participants and introduction into Korean culture. Dormitory style accommodation and meals during the training are provided. Accommodation: A private room in the village dormitory. Location: Sanan Village, Hwaseong City, Gyeonggi-do Province, about 1.5 hours south-west of Seoul by bus. Volunteer project: Surrounded by the beautiful mountains of Muju, an area so distinguished as to have received the nickname of the “Korean Alps”, lies an alternative high school called the Green Dream School. The school is part of the unique education system of alternative schools in South Korea, which places emphasis on the values of nature preservation, peace establishment, democracy, and independence of thought. Alternative schools have a special curriculum offering a more flexible program of study than a formal school. A wide range of philosophies and teaching methods are offered by these schools. 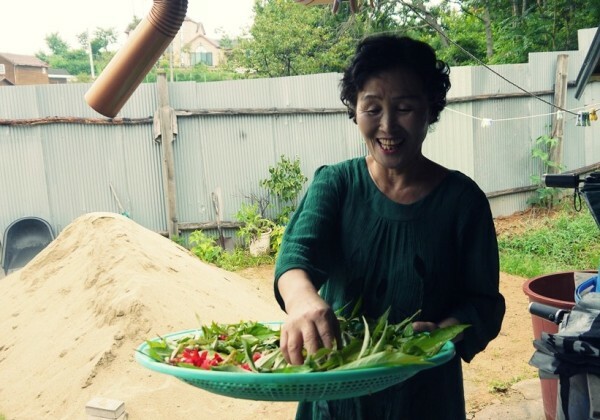 Green Dream School focuses on teaching traditional Korean culture, arts and history, eco-farming, foreign languages, independent study and peace through various non-formal methods and outdoor experiences. Therefore, the school expects international volunteers who can bring creative teaching methods, deliver information about various countries, cultures and languages, and build a strong friendship with the students. It will be a very unique experience for the volunteers who are interested in sharing their personal stories and knowledge with the school students, as well as for the students who will get a chance to experience diverse cultures. Volunteer work: Since the purpose of the project is to foster the idea of global citizenship among the Green Dream School students, volunteers will run English conversation classes (basic or intermediate level) focusing on various topics related to global citizenship (cultural differences, peace, human rights, sustainable development, and so on). Volunteers are asked to help the English teachers as well. Also, the volunteers will join the students for some of the other classes such as eco-farming (growing flowers, vegetables, working in rice fields), sports, arts and pottery class. 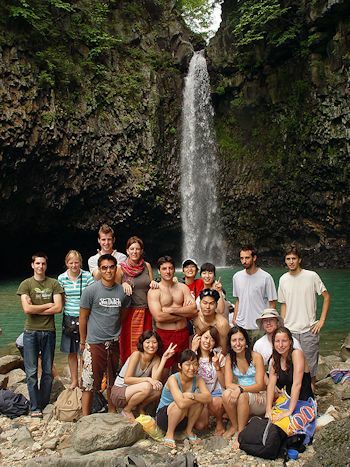 Volunteers will have unique experiences with the students joining them for outdoor activities (swimming, hiking), field trips, visiting cultural and historical spots of Korea. There are about 40 students at the school, at the age of 16-18, and 20 teachers, one of whom is an English teacher. Once a week, the volunteers will teach English in a local children's center near the school. Free time: You can join in field trips such as mountain hiking, cycling, rafting. Visiting places of interest in the area is also possible. Accommodation: A shared room with other volunteers or students in the school dormitory. Location: Muju, Jeollabuk-do province in the southwest of Korea, about 3 hours south of Seoul by express bus. The Muju area is surrounded by mountains and has easy access to tourist sites and large major cities including Seoul. Volunteer project: Volunteers in this project will be teaching English to students in a middle school in Seocheon. The school provides education to 61 boys and girls from poor families. The school has 3 principles: Live Independently, Know Correctly and Do Diligently. The school was opened in 1950 and in 2012, the dormitory was built where students can stay for free. The school has 3 grades. The students study English every morning from Monday to Thursday. They are highly interested in learning English and meeting foreign volunteers. Volunteer work: Volunteers' main task will be teaching English to the students. They will also take part in other classes such as PE, playing music, etc. and will join outdoor activities with the students. Volunteers can organise their own language or culture class if they wish. Students are 13 to 15 years old. Working hours are Monday to Friday, 5 to 7 hours a day. Free time: During weekends, homestay activities with local people are planned. Accommodation: A private room in the school dormitory / homestay during weekends. 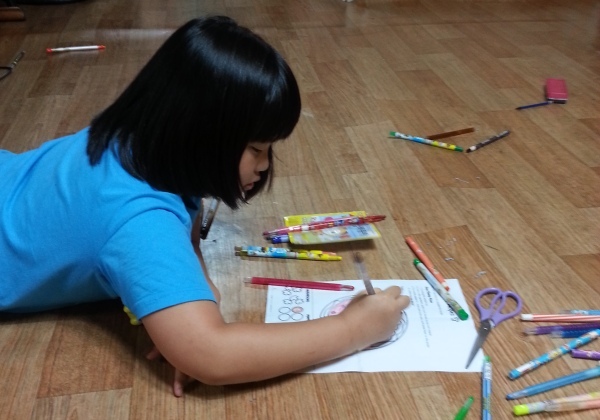 Volunteer project: Local Children's Centers in South Korea provide shelter for children after regular school hours as well as educational and cultural opportunities. Most of the children in rural areas have fewer opportunities for meeting foreigners and getting high quality English education compared to kids in urban areas. And although international marriages are quite common in rural areas, local residents still lack the understanding of multiculturalism. So the children are facing discrimination in school, cultural and language difficulties. This project will play an important role in bringing a taste of international culture to the local children. The volunteers can give these children a chance to interact with foreigners and understand other cultures. And English can be the tool for understanding Korean children and interacting with them. The local children's center welcomes you to organize your own class with your talents and ideas. Teaching English to primary school students and middle school students will be your main task. Their level of English is mostly basic except some of the middle school students. So they lack confidence and interest in English. However, they started getting interested after the first contact with international volunteers a few years ago. If you have any special skills, talents and ideas, you can also lead activity classes with children (music, drawing, etc.). You will work from Monday to Friday with around 30 kids (7 to 15 years old) and 3 teachers. Sometimes, you may be asked to join weekend activities and field trips with the kids on Saturday such as going to the cinema or to the mountains. Free time: Feel free to visit the surrounding Gangwon area, participate in various local festivals, experience Korean mountain climbing, and visit nearby historical sites. There is a famous river named Jucheon, surrounded by mountains. If you are a nature lover, Yeongwol is the place for you! Accommodation: The volunteers will be accommodated in a shared room with other volunteers in the children's center. Location: Yeongwol, Gangwon province. It is 5 hours from Seoul by bus. The center is quite a distance from downtown, however volunteers can use the shuttle bus from the center to downtown or a bicycle. Many tourists visit Yeongwol to enjoy the nature and activities there. Uiryeong is a small town famous for its beautiful scenery and for the delicious traditional Korean rice cakes called "Bangae-deok". Since the government usually develops infrastructure depending on the population of the region, many people in this area are isolated from the benefits. Although it’s a good place to live, since there are not enough job positions, parents work in a nearby city and come back late. The project is in support of a children’s center providing care, educational and entertainment programs for about 30 children and youth in the community, 8 to 16 years old. Volunteer work: The international participants will organize and manage cultural and education afterschool programs such as English language classes for children of different ages who attend the center. The children at the center are mainly elementary school students and few middle school students. They normally stay at the center after school, from 2 pm until around 9 pm. Any kind of activities and ideas are welcome, as long as they provide the local children with opportunities for cultural exchange. The local children are very open to new programs and interested about the different countries in the world. The volunteers will work from Monday to Friday while the kids are at the center. Free time: There is a sports complex nearby. You can also visit many traditional sites around this area such as mountains, temples, villages, palaces, etc. Accommodation: Volunteers will be accommodated in a house. Location: Uiryeong, Gyeongnam-do province in the southeast of Korea, close to Busan, the second largest city in Korea. About 5 hours from Seoul by express bus. Volunteer project: Alternative school is an educational establishment with non-traditional curriculum and methods. These schools are more flexible in their administration, which allows for more variety in the educational programs. They often have curriculum elements that focus on improving students’ self-esteem, fostering growth of individuality, and enhancing social skills. The school in Yeongcheon has three philosophies that mainly focus on uniqueness, relationship and creativity: Uniqueness to find oneself, Relationship to acknowledge differences and Creativity to be able to change oneself. The school strongly believes that education is not just knowledge but also helping students live happily with each other. In addition, since the school gives priority to volunteer and practical experience, it offers diverse classes that can’t be found in other typical schools, such as gardening, exercises and ecology games. The school expects international volunteers who can interact with students and encourage them to act spontaneously, who can bring creative teaching methods and deliver information of various countries, cultures and languages. This is a very unique experience for volunteers who are interested in sharing their personal background and knowledge and learning about an unique educational system. Volunteer work: The volunteers will be teaching some subjects to the students in English such as art, science, math, etc. They will also take part in some classes along with the students such as gardening, sewing, etc. There are 20 to 30 students at the school, 6 to 15 years old. Working hours are Monday to Friday (5-7 hours a day). Free time: The school may invite you to join their field trips and outdoor activities like hiking or cycling. Accommodation: In a shared room in the school dormitory. Location: YoungCheon, Gyeongsangbuk-do province, 3 hours from Seoul by express bus. Volunteer project: The volunteers will join the activities of a welfare center in Busan, founded by one of the leading Korean companies in the rubber industry. The aim of the center is to pursue social contribution activities for creating shared values in the local and global community and promoting sustainable development by supporting talent development and development for the underprivileged. It is an educational and cultural space that drives community development and especially supports the growth of children and youth. The center provides space and support to creative and educational activities of citizens, young start-ups, social enterprises, NGOs and cultural and arts organizations. - Sharing information about volunteers’ countries or global citizenship for cultural exchange classes in school or other local centers. Free time: Volunteers will have a chance to visit historic places and enjoy the beaches of Busan during the free time.